Swachhat Hi Sewa (SHS) campaign from 15/09/17 to 02/10/2017 . Subject campaign has been organised under the supervision of Sh. 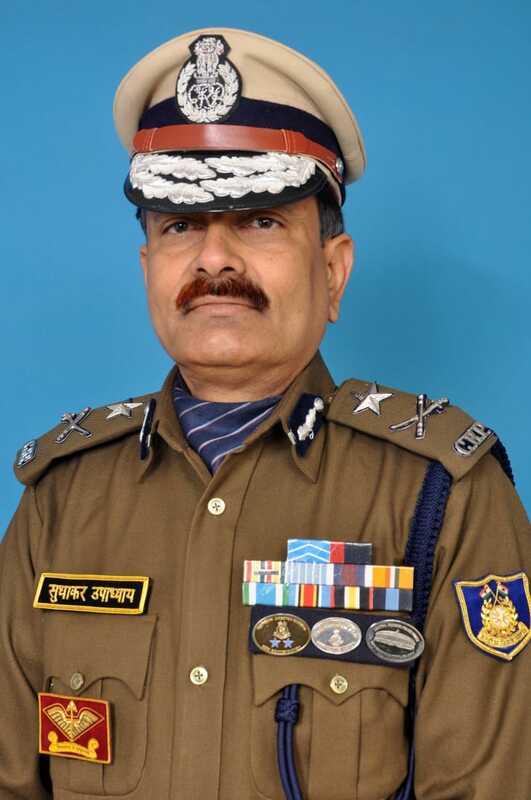 Raju Bhargava, IPS, IGP(Ops) Jorhat and Sh. Balram Behera, Comdt of 119Bn at MES Chariali , Rowriah, Jorhat(Assam) on 23/9/2017 . All officers and Jawans of this sector as well 119 Bn participated in the subject campaign and contributed their Shramdan to cleanliness outside camps area and MES Chariali . During Swachhata campaign local civilians also participated in the cleanliness drive . On this occasion Banners /Pamphlet with slogans on Swachhata Abhiyan were displayed to stop use of plastic carry bags and restricted to use of Gutkha/Khaini/Pan Masala etc. at public places . Local Electronic and print media were also invited for subject campaign for wide publicity . On the occasion of CRPF Raising Day on 27th July,2016, an investiture ceremony was arranged in Ops Sec HQr, CRPF, Jorhat. All medal recipients of Jorhat Ops Sec have been invited to attend the function. Shri Satpal Kapoor, IG, Ops Sec HQr, CRPF, Jorhat distributed the Medals, Discs and Commendation Certificates to the medal recipients. On 21/10/2016 the commemoration day in the memory of Martyrs was celebrated together with 119 Bn, CRPF, at Ops Sector HQR, CRPF, Jorhat (Assam) in the presence of Shri Satpal Kapoor, IG, OPS Sec HQR, CRPF, Jorhat. 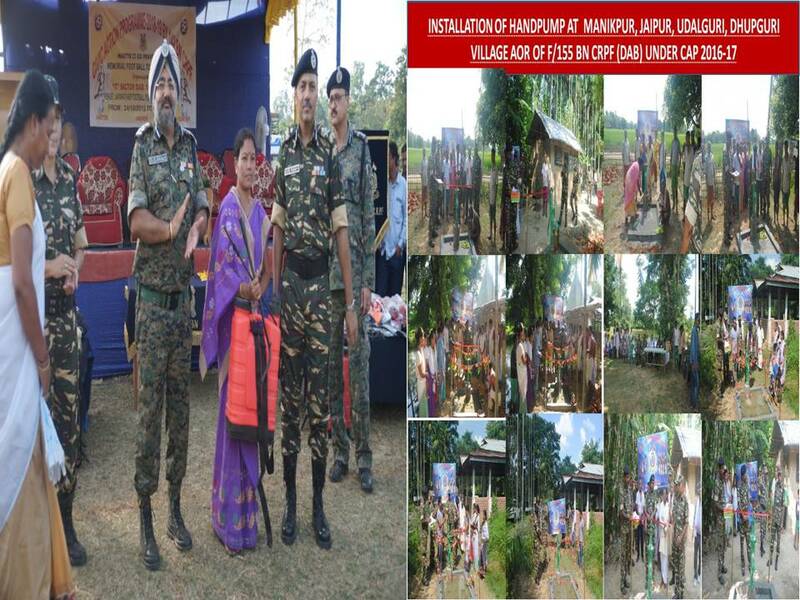 Shri Balaram Behera, Commandant 119 Bn, CRPF, other officers and Jawans were also witnessed the function. Wreath ceremony was organized in a befitting manner and paid homage to the Martyrs for their supreme sacrifice for the sake of the nation. Two minutes mourn was also arranged in remembrance of the Martyrs. On this occasion, Officers and men of 30, 34, 68, 119, 142, 147, 149 and 171 Bns, CRPF, have also arranged various programmes at Schools and Colleges of respective Martyr’s villages in the remembrance of the brave soldiers. Rashtriya Ekta Diwas celebrated on the eve of Indian’s Iron Man Sardar Vallabh Bhai Patil birth anniversary on 31st October,2016 at Ops Sec HQr, CRPF, Jorhat presided over by Shri Satpal Kapoor IG, OPS Sector Jorhat. In the function it is emphasized the sanctity of day and remembered the incredible contribution towards Nation’s safe guard by Shri Sardar Vallabh Bhai Patel. All officers and men of Ops Sec HQr, CRPF, Jorhat and 119 Bn, CRPF, have taken a oath with regard to Rashtriya Ekta in a befitting manner. Assembly Election – 2016 in State of Assam was held in two Phases. First Phase was held in upper and Southern Assam on 4th April, 2016 for 65 Legislative Assembly Constituencies and second Phase was held in Central and Lower Assam on 11th April, 2016 for 61 Legislative Assembly Constituencies. In order to maintain Law and Order in the state, in addition to existing deployment, 300 CAPF Companies were additionally inducted and deployed in the entire state of Assam for pre-poll / poll duties during various phases. During Phase one, total 425 CAPF companies deployed under the Operational jurisdiction of Jorhat Sector for free and fair polling. During Assembly Election, Jorhat Ops Sector had formed 3 Adhoc Bns viz 330, 332 & 333 comprising of 18 Coys and after completion of election in Assam, these Adhoc Bns had further moved to West Bengal and Tamil Nadu for Assembly Election-2016 in these States. As per the order of Director General, CRPF, Shri Satpal Kapoor, IG (Ops), CRPF, Jorhat had been detailed as Force Co-ordinator of entire Assam State for all the CAPFs deployed for Assembly Election-2016. As a consequence of effective co-ordination with various agencies and monitoring, induction /de- induction and deployment for Assam Assembly Election-2016 was timely completed and polling was held in fair, free and peaceful manner without any incident. The percentage of polling in phase one was 80.15 % and in phase two 87.3 %. Overall percentage of polling in Assam was recorded as 84% which was a new national record. After polling, 51 strong rooms were under constant vigil and guard by CRPF troops till counting of votes on 19 May 2016. The role of CAPFs was appreciated by the Hon’able DG, CRPF and Election Commission of India.